Foreigners in the Helsinki-Uusima region: a key factor in the growth of the Finnish economy. HOW can Finland become a priority destination for international professionals? What is the current situation of the expat community in the capital area? How can the retention of skilled foreign workers in the local arena influence both Finnish and Baltic economic growth? These questions were tackled at the ‘Talents Available’ fair held on Thursday 5 September in Helsinki. Organised by the Expat-project, a two-year programme (2012-13) co-founded by the EU to promote social networking and human capital in the region, and Team Finland. The conference brought together nearly 180 people interested in discussing talent retention. The event provided a platform to bring these and other issues to the forefront of the political agenda, and also served as encouragement for the creation of an institution to support highly skilled immigrants in finding employment and becoming socially integrated, such as HERIEC (Helsinki Regional Immigrant Employment Council). The event was opened by Prime Minister Jyrki Katainen, who offered a welcoming speech based on the necessity of strengthening the cooperation between Finland and China at every institutional level, from politics to higher education. “When facing the tough global competition approach, we know that we are too small to survive alone,” Katainen stated. “Therefore, we have to team-up and work together. Around 2,300 Chinese students are now enrolled in Finnish universities, and in the future they will become friendly ambassadors of our nation.” After his speech, the Prime Minister also answered the audience’s questions, highlighting the urgency for Finnish companies to learn how to tap into international knowledge. The morning session was centred on the case study of the Chinese community, as an example of how international professionals can facilitate both the “soft-departure” and “soft-landing” of local companies when trying out foreign markets. These two concepts refer to that delicate first stage in the process in which the company has to familiarise itself with the legal, financial, cultural and practical issues of doing business in the country of reference. After the lunch break the speakers focused their attention on an online questionnaire compiled by the Expat-project to measure the degree of satisfaction held by foreigners with the services available for them in the region. The survey, which was based on Maslow’s five-level “hierarchy of needs” (with the more basic physiological needs at the bottom and the most sophisticated self-actualisation at the top) was conducted from August to November of 2012 and contained 75 questions to be rated from 0 to 100. 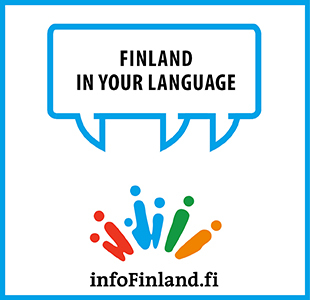 A total of 771 foreigners from 91 nationalities in all the major cities across the Central Baltic Region (Finland, Sweden, Estonia and Latvia), revealed the need for improvement of the region’s basic services, especially pertaining to housing and language integration in the community. On the contrary, issues in relation to the upper levels of the pyramid revealed satisfactory feedback. For instance, in the self-esteem category, questions such as ”I feel that I have been treated with respect in public” received an excellent evaluation. Furthermore, respondents also manifested a great degree of contempt regarding self-actualisation needs, with points like ”I feel that I can fulfil my goals in the country of residence” scoring highly around the region. However, the integration process is usually two-sided: the efforts of the local authorities to provide an easy atmosphere would be in vain if foreigners don’t show the right attitude to benefit from them.